Holiday in style at Natural Retreats Playa Blanca. This exclusive collection of holiday residences includes a range of brand new, luxury self catering villas, in the Playa Blanca area of Southern Lanzarote, offering truly outstanding holiday accommodation. 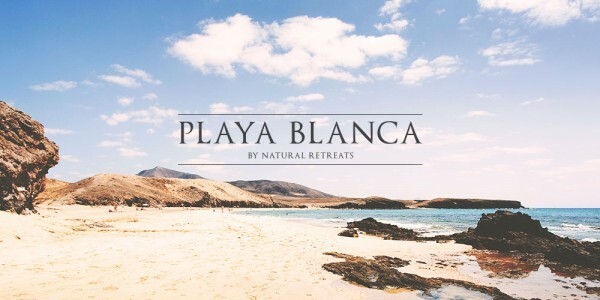 Whether it’s for sightseeing, golf, sailing or pure indulgent relaxation, Natural Retreats Playa Blanca makes the perfect base for your exclusive holiday or family break. The holiday residences offer incredible places to stay and unrivalled experiences in stunning locations across the UK and globally. Family friendly, eco-friendly, and dog friendly cottages, lodges, apartments and villas in England, Scotland, Wales… and beyond. Check for last-minute availability, book now, view our latest special offers, or learn how our Concierge service sets us apart by providing you with your own dedicated travel planner.